Following our invite to attend the model engineering exhibition at the National Maritime Museum, we decided to add an information banner to our displays to promote the society. The pictures show various aspects of the hobby, with the other important information presented in a consise way. The society's new banner at a recent exhibition. September Open Day page added with details of the event and our poster (see below) or click here to go to the page. March Open Day page updated with photos from the event. We have received the latest issue of the 'Railway Magazine - Guide to Railway Modelling', in which we feature. Further work has taken place on Smithick Vale and Ruthern, see relevent pages for updates. 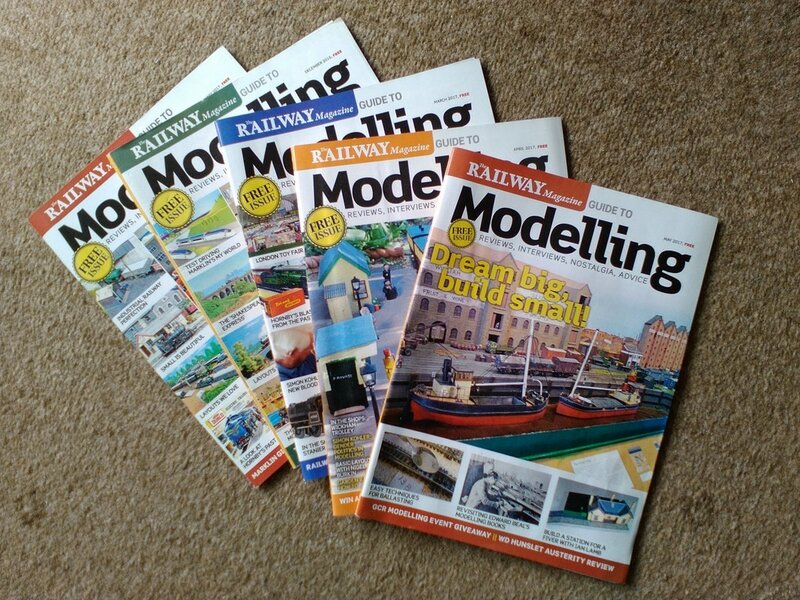 We would also like to draw visitors attention to a new free modelling magazine from Railway magazine. This excellent publication is packed with articles on how to get started in the hobby. We have free copies available, so why not pay us a visit and maybe get involved. Pictures of our Open Day on 8th October have been added to the exhibition pages. We would like to thank all those members of the public attended and hope they enjoyed their visit. Carlsby added to our members layout section, see here for more information. Well worth a look! 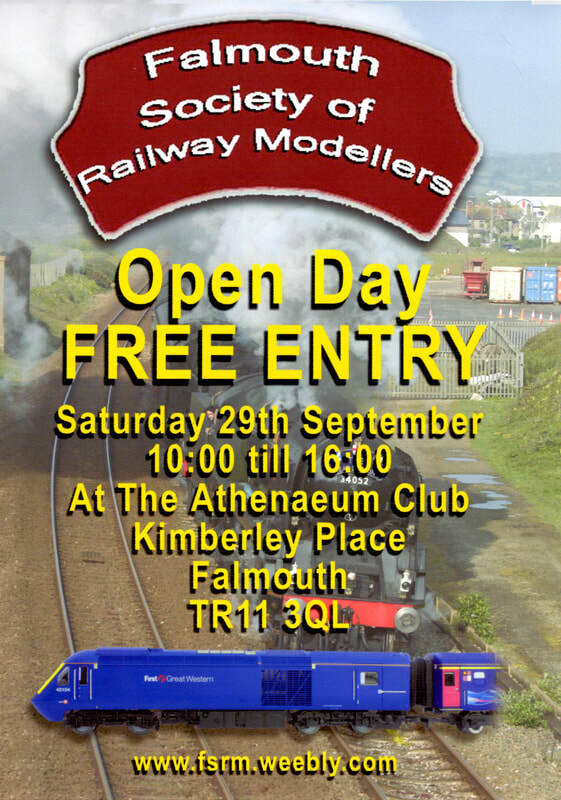 A link to our Open Day poster has been added the the October Open Day page, see here for details. Organisation of our open day on October 8th 2016 is well under way, see the the exhibition page for more details. Work has started on our new 0 gauge layout, called 'Ruthern' (as in Ruthern Bridge) which will feature on our society layout pages as it progresses. So far the baseboards have been contructed, a plan drrawn up and track purchased. Keep an eye on this exciting development. We are intending to exhibit Ruthern as a work in progress layout at our open day on October 8th. See the exhibition pages for more information. Pyattson has been added to the society layouts section. We are holding another open day on 8th October 2016, ﻿click here﻿ for details. Pyattson (featured at our 2015 exhibition) has very kindly been donated the society by Mick Roberts and we are very grateful to Mick for this kind gesture. The layout will be availble for exhibitions in the future. It's not everyday that a model railway society gets a mention in The Times, but we've managed it. Imagine our surprise to see our society appear in Alistair Osborne's article about Network Rail CEO Mark Carne, who is also an independent director at Falmouth University. All we can say is, if Mr Carne ever pays us a visit, he'll be made most welcome. See the article here. We would like to wish our site visitors a happy new year and hope that you will keep visiting the website. If you feel you would like to pay us a visit, please come along to our club room on a Friday evening, meetings start around 7:30pm. Two new layout pages have been added covering out latest projects. The first layout is the new OO gauge layout 'Smithick Vale', the layout will feature a double track mainline with two goods loops, all set in open countryside. The second layout is our German Z gauge layout 'Bear Mountain', which is now under renovation. These pages will be updated as the projects progress. The Athenaeum Club, Kimberley Place, Falmouth.